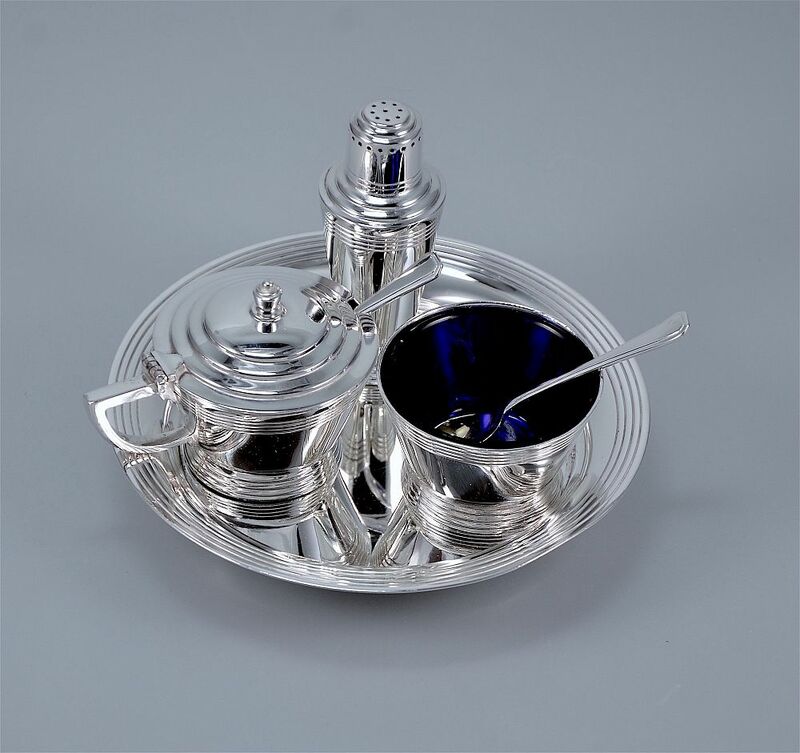 This superb cruet was designed by Keith Murray for Mappin & Webb during the Art Deco period. It comprises a round try on three bun feet with raised rim. The outer edge of the rim has been incised with 4 circles which are repeated on the salt pepper & mustard pots all of which have raised circular feet with 4 incised rings. The salt and the mustard pot have their blue glass liners and each has a spoon with a gilded bowl. 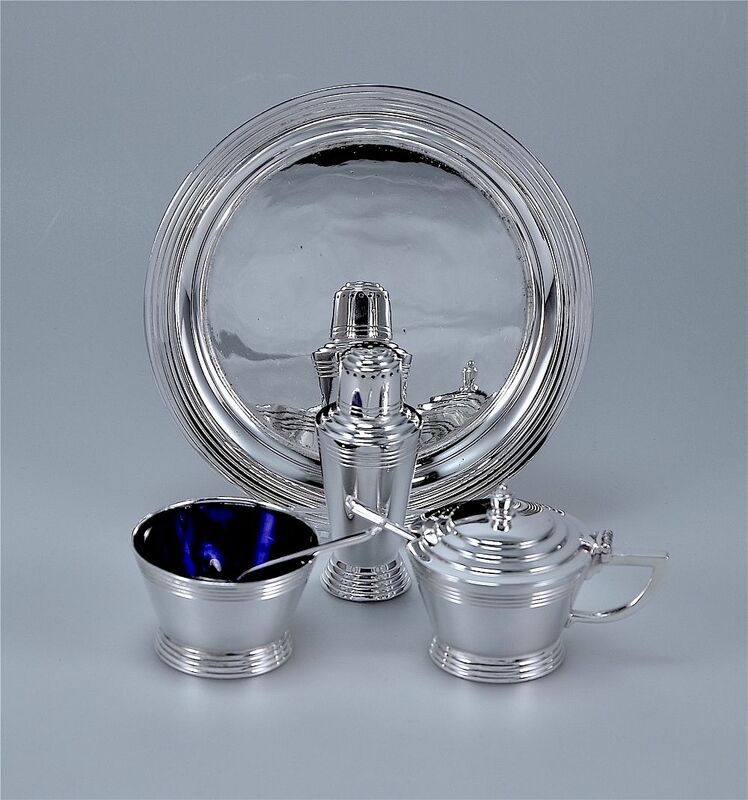 All pieces except the spoons are stamped " Triple Deposit Mappin & Webb Prince's Plate London & Sheffield" with a stylised triskelion type mark. The salt, pepper & mustard pot are stamped "W27704" the salt & mustard pot have a "J" in a shield shaped cartouche and the pepper has a "K" in a shield shaped cartouche. The tray is stamped W28357 and has an "M" in a shield shaped cartouche. The two spoons are stamped "Mappin & Webb" and have a "J" in a shield shaped cartouche and "PP" (presumably for Prince's Plate) in an oval cartouche.